Public Remarks: Welcome to Crestview! This is Flagstaff's newest community with 120 single family detached homes. 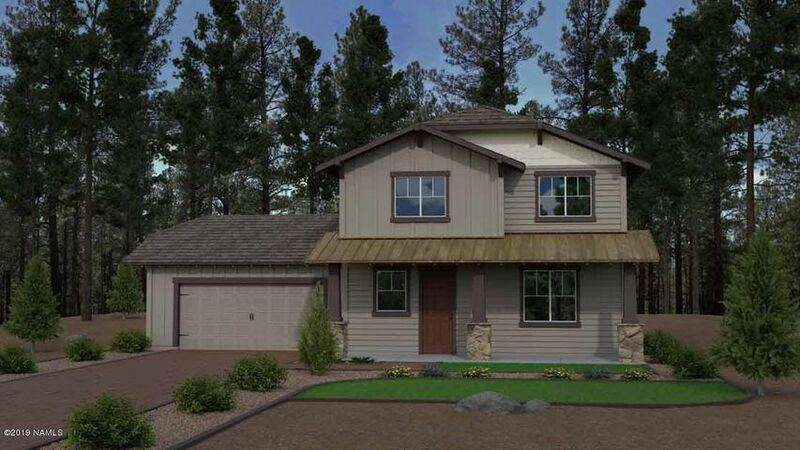 You will love the front covered porches, tall Ponderosa Pines and only 5 minutes from historic downtown Flagstaff. This home is 1958 sq. feet, 4-bedrooms, 3-baths and a 2-car garage. The living area is one big great room including dining. There is available guest houses and expanded garage choices on some of the lots as well. These are all very good sized lots 62-wide and 106-feet deep on average, so over 6600 sq. feet, which is great for a nice sized back yard. $25 HOA fee. The price does not include lot premiums or selected options. Directions: Route 66 to Northwestern, and go north to Crestview.